The lowest price of Canon EOS 5D Mark IV DSLR Camera Body with EF 24-105mm IS II USM Lens ( Black ) is at Flipkart where is it is for INR 189990. This price is INR 130010 lower than the other price for the product. The prices for the product change across variants. 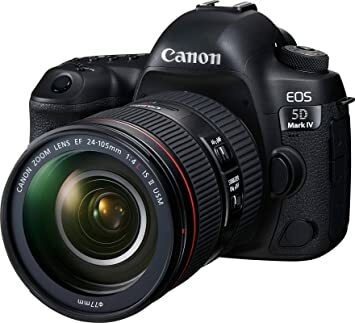 The price for Canon EOS 5D Mark IV DSLR Camera Body with EF 24-105mm IS II USM Lens ( Black ) is valid across Bangalore, Hyderabad, Chennai, Mumbai, Delhi, Pune and Kolkata. The Canon EOS 5D Mark IV DSLR Camera Body with EF 24-105mm IS II USM Lens ( Black ) is available at best price of INR 189990 on Flipkart. It's very dangerous ... Whatever photo I took with thia camera turned into gold !